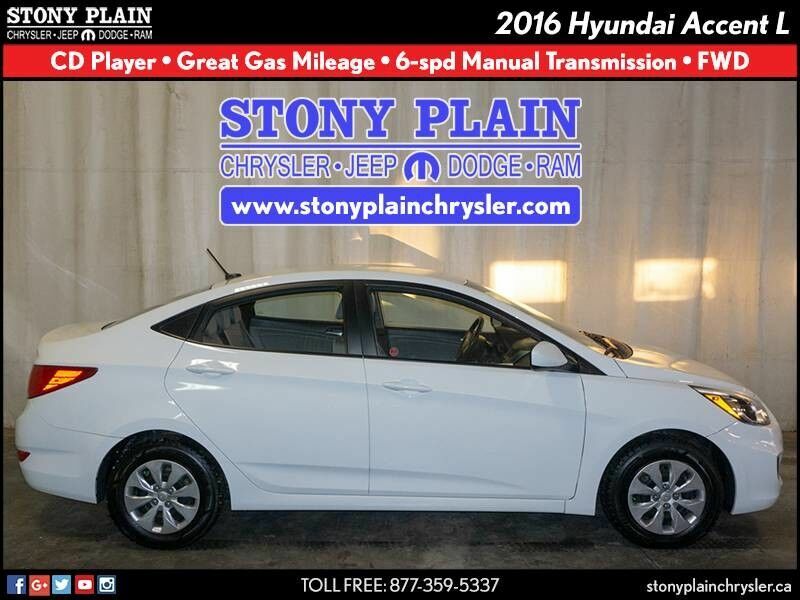 This 2016 Hyundai Accent L sedan is offered to you for sale by Stony Plain Chrysler. The Hyundai Accent L will provide you with everything you have always wanted in a car -- Quality, Reliability, and Character. Driven by many, but adored by more, the Hyundai Accent L is a perfect addition to any home. Just what you've been looking for. With quality in mind, this vehicle is the perfect addition to take home. Surprising quality accompanied by a high level of performance...this Century White on Grey Hyundai Accent L could end up being the perfect match for you.